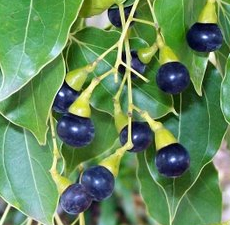 Ho Wood Essential Oil (Cinnamomum Camphora) - Sweetgrass&Rain Inc.
Ho Wood Essential Oil has recently been used as a replacement for Rosewood Essential Oil because of its similar chemical properties and applications. Previously used for sword and knife handles because it would not scratch the fine blades, Ho Wood became more popular in 1985 when a major explosion at a linalool-producing facility greatly decreased the available supply, which launched Ho Wood as a natural and sustainable replacement. Locally referred to as Shiu Oil, it is commonly broken for its aromatic constituents. Ho Wood Essential Oil has a sweeter woody scent like rosewood, with camphoraceous notes.